In 1913 Henry Ford faced unique challenges. The recent doubling of his work force had resulted in a 100% increase in revenue, and with the development of the assembly line he’d doubled production again without increasing his workforce. The trouble was that the monotony of the assembly line was causing his workers to have severe absenteeism resulting in a 370% turnover ratio and dramatic impact on quality. He needed to do something. 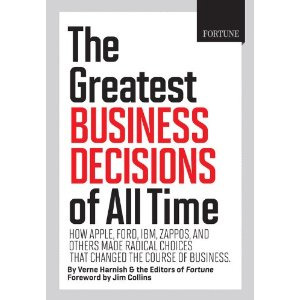 As provided in The Greatest Business Decisions of All Time (a still to be released book I highly recommend for every CEO, and president), Ford and his production executive Charles Sorenson, conceived the idea of doubling their workforces pay from $2.5 to $5 an hour. On January 5th 1914, Ford’s announcement created a sensation as he summoned newspaper reporters to the plant in Highland Park to announce the significant changes he felt would improve employee retention. These included reducing the work day from 9 hours to 8. Adding a third shift from two, opening up additional jobs, and finally the most dramatic change more than doubling their basic pay rate to $5 days a day. In essence Ford planned to add an additional $10 Million dollars in expenses to his bottom line in order to improve productivity and employee retention. The result was dramatic. Immediately applicants lined up at the plant to apply. 12,000 the very next day stood out in the freezing cold with Detroit police arriving to break up riots. Within a week 14,000 more applications were received through mail. There were many ulterior motives behind this move including Ford’s sense that by increasing his employee’s wages he would stimulate the economy and most importantly help his workers afford the very product they were producing. How monumental were the issues of employee retention for Ford? From 1908-1921 Researcher Steven Meyer calculated that on any given day 10% of the workforce didn’t show up. Ford had to keep between 1300 and 1400 extra men on standby just in case they were needed to integrate into the production system. Annual turnover as mentioned reached as high as 370% with Ford managers having to hire 52,000 workers just to maintain the Highland Park’s existing complement. In December of 1913 when the company decided it would issue a Christmas bonus to workers who’d been on the job for three years or more they discovered out of 15,000 employees only 640 qualified. There were certain qualifications to meet in order to attain the $5 wage, including being married that would be deemed prejudicial today. However these were somewhat common for the time. The question remains did it work? The first years cost of increasing wages of $10 million was less than the dividends Ford paid to shareholders $11.2 million. Workers did respond. 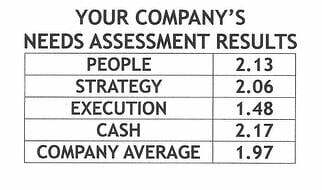 Annual turnover fell from 370% to 16% with a jump in productivity from 40% to 70%. Remember the 52,000 number or replacement workers? It would drop to 2000. 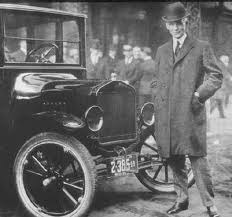 From 1914 to 1916 Ford’s profits increased from $30 Million to $60 million. Just as impressively from 1910 to 1919 Ford reduced the Model T’s price from $800 to $350. Did Henry Ford’s move to double wages represent a significant understanding of the power of Topgrading? The underlying sentiment for me is yes. Yet his approach to it certainly didn’t take on the discipline and structure required to truly identify "A" players. By raising wages he immediately attracted a higher group of applicants, yet these applicants weren’t necessarily screened properly to identify whether or not they were in the top 10% of those for this position. In reality there may have been few people at that time that one could compare for qualifying for this wage. One who qualifies among the top 10 percent of those available for a position. C player: below the top 35 percent. It would certainly appear that Ford was hoping to attract “A” players to his company. Yet with the recruiting approach he undertook he most certainly attracted B and C players alike. These were mostly likely selectively eliminated through work performance in the following months. There appears to be little evidence that Ford took into account in presence of mind for identifying “A” players in his selection process. Yet by intuitively understanding that increased wages would improve retention and provide a higher quality of worker, I believe that if Ford were alive today he would be a proponent of Topgrading for improving the Growth of his company. Does Henry Ford’s genius inspire any ideas for your business? Can you see the risk that this innovation required? Innovations often require risk and run the opposite of what poplular beliefs are at the time. Are you a leader who has the courage to take these risks like my example in my last newsletter? Next Blog we’ll discuss Grandma’s rule and how it can be a positive reinforcement tool in the workplace. Just today this rule positively influenced my attitude.